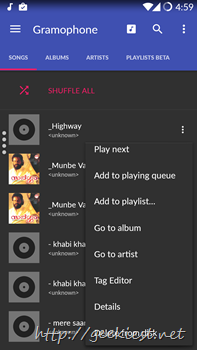 Gramaphone is a new music player which is currently in Beta stage. The entire user interface is material design and which looks really beautiful. 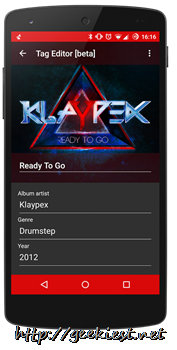 This application is expected to be lauched as a public beta release on 29th of March, 2015. 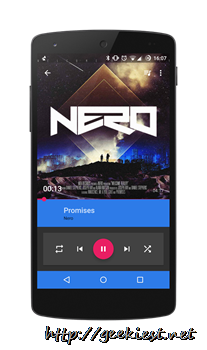 Beautiful user interface, complete Material design. The UI colors change dynamically to match that of the album art . Tag editor – allows you to edit the tags of your music files from the application itself. The application is a Private beta now, so if you want to Beta test the application, just head over to the Google Plus community, join them and install it from the Google Play store. Remember the application is in beta stage and many of the features are not working. After you join the community you can read the known bugs and to do list there to have a basic idea of the current status of the application. An Android/iOS application for Music lovers from Bharati Airtel. Listen/download music.